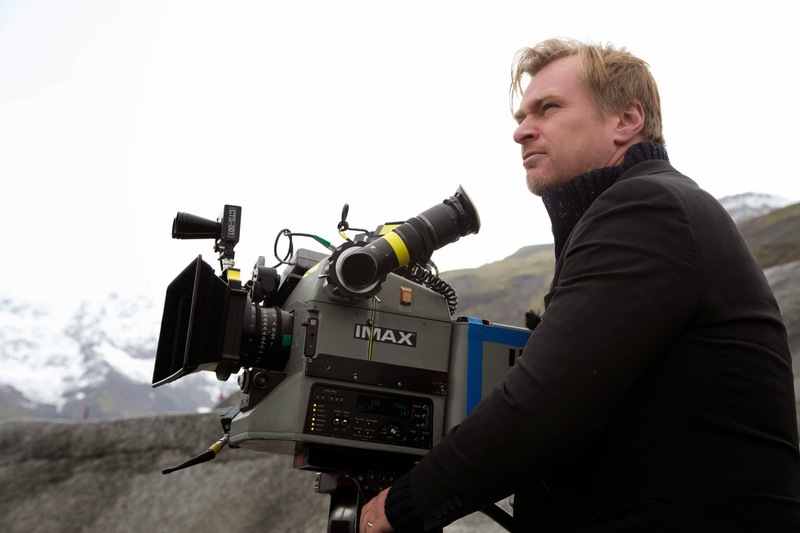 REEL DEAL: Director Christopher Nolan Pushes The Limits With "INTERSTELLAR"
Humankind has always shaped its destiny by pushing its limits—from the first ships setting sail for the edge of the horizon to the first human steps on the surface of the moon—yet the ultimate frontier remains tantalizingly out of reach. 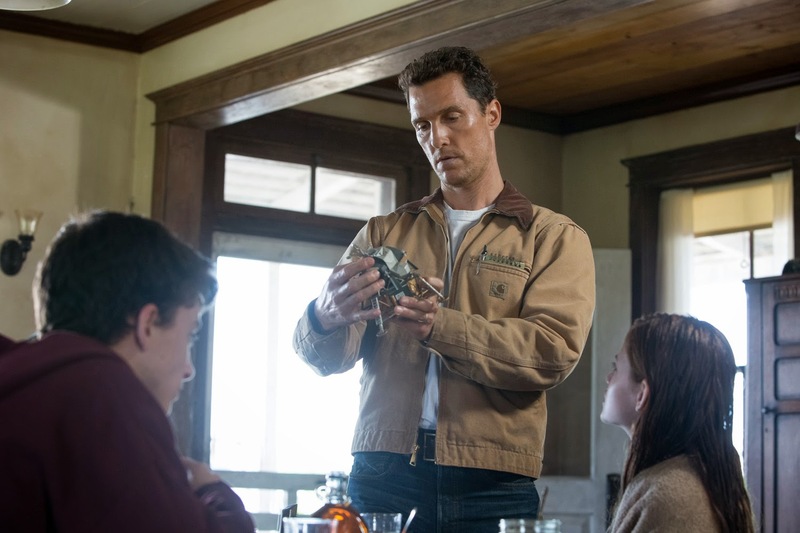 From director/writer/producer Christopher Nolan, “Interstellar” hinges on the provocative question of humanity’s place in the stars. 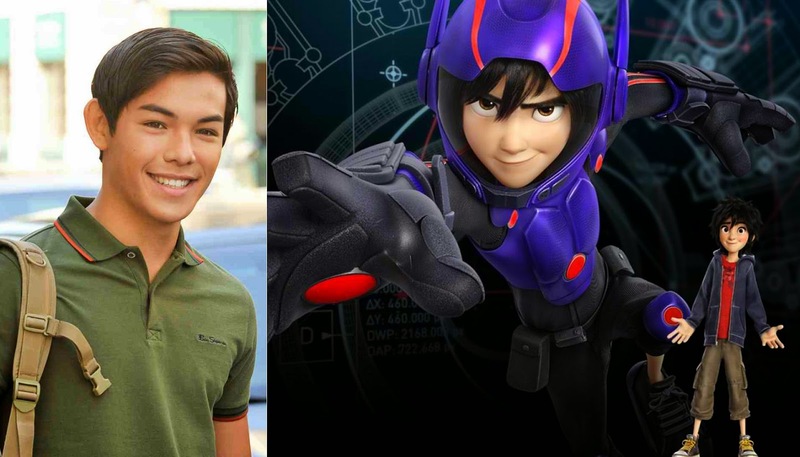 REEL DEAL: Inflatable Robot Baymax Takes Spotlight In "BIG HERO 6"
In Walt Disney Animation Studios’ “Big Hero 6,” a plus-sized inflatable robot named Baymax makes a difference in the life of teen prodigy Hiro Hamada. Baymax cares. That’s what he was designed to do. The vinyl robot’s job title is technically Personal Healthcare Companion: With a simple scan, Baymax can detect vital stats, and, given a patient’s level of pain, can treat nearly any ailment. Conceived and built by Tadashi Hamada – Hiro’s older brother -- Baymax just might revolutionize the healthcare industry. 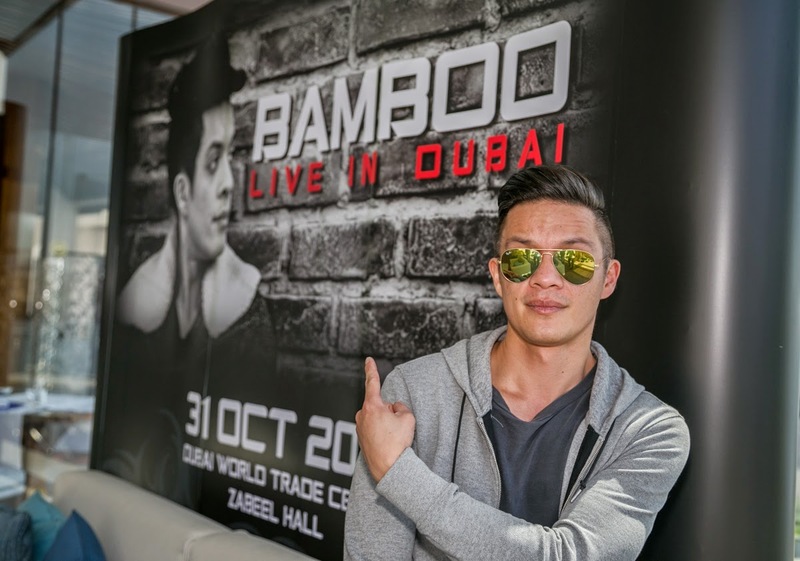 One of the biggest names in the history of Filipino entertainment, the nation’s king of rock Bamboo will bring down the curtain on his 2014 World Tour at the Dubai World Trade Centre on Friday night (October 31). The Halloween date with his Dubai fans is a fitting finale to a tour that has seen the award-winning singer and star coach on ‘The Voice of The Philippines’ take his own brand of music to fans in the Middle East, Japan, Europe, Canada and the USA. 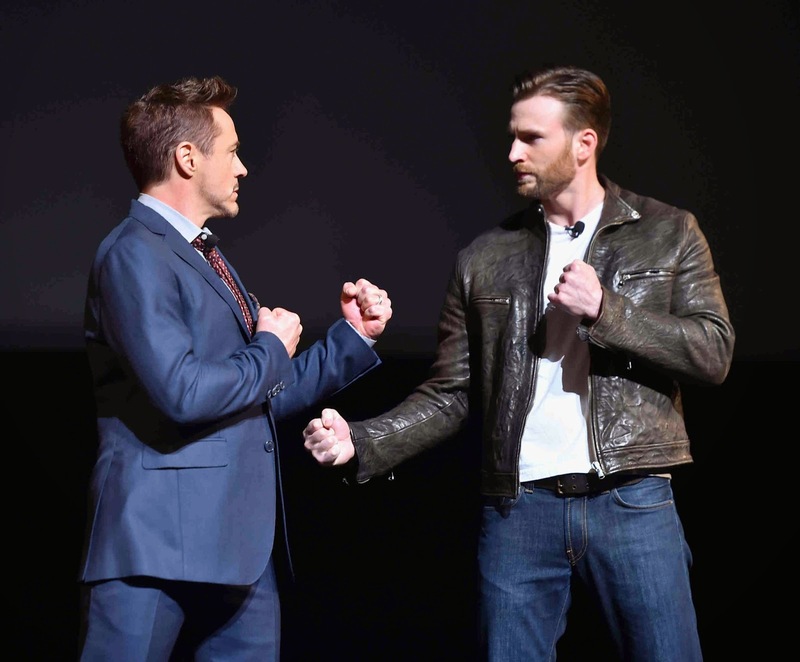 Catch the featurette here at http://youtu.be/plXX6lVFt5Q. “Hotel Transylvania 2” is the highly anticipated sequel to the 2012 smash hit “Hotel Transylvania” from Sony Pictures Animation. Director Genndy Tartakovsky returns to helm the sequel, as do screenwriters Adam Sandler and Robert Smigel. The original's principal cast also reunite for “Hotel Transylvania 2” led by Sandler, Selena Gomez, Andy Samberg, Kevin James, Fran Drescher, Cee-Lo Green, David Spade, Steve Buscemi, Molly Shannon and Jon Lovitz. 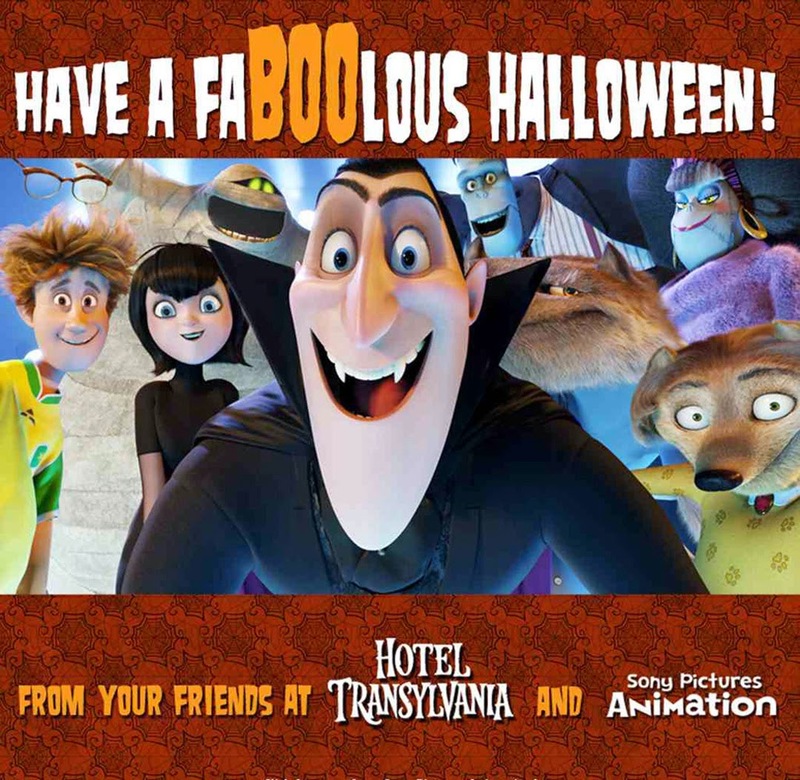 Opening across the Philippines on September 2015, “Hotel Transylvania 2” is distributed by Columbia Pictures, local office of Sony Pictures Releasing International. REEL DEAL: Fast-Rising Young Stars Fears In "OUIJA"
The principal cast is composed of five friends, led by the fearless Laine (Olivia Cooke), who must confront their most terrifying fears when they unwittingly make contact with a dark power from the other side. Gone are the days when termite problems are undetected until it’s too late. With different kinds and brands of termiticide sprouting in the market, it is almost impossible not to eradicate the “unwanted” guests under your roofs. As a homeowner, we rely on professional pest controls to protect our home.PCOs first priority is their client’s trust so it is important that they only use and choose the most advanced kind of termiticide in the market. In a launching at Richmonde Hotel in Ortigas, JDI introduced a new product called Termitrol, that will help PCO’s eradicate termites. Termitrol is a special kind of termiticide that has a “delayed mode of lethal action” or known as a ‘non repellent’ soil termiticide. This means that upon contact to the poison, termites are not instantly killed, allowing them to pass-on the poison to other termites, which will lead to the elimination of the entire colony. #WhatsNewWhatsNext For PBB Big Winner Daniel Matsunaga? After PBB All In, Daniel Matsunaga has been the talk of the town being the first non-Filipino to win the reality show. 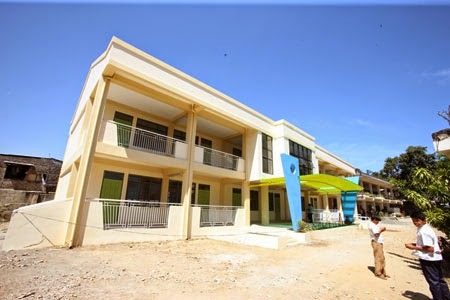 But even he entered the house, he has been known as a commercial model and linked to several celebrities. It is obvious from his physique and charm that got everybody to love him. And being a model and endorser of brands, he has to keep that image of being fit and healthy as he also practice fitness and sports as his daily routine. And adding another hat to him is the latest endorsement of San Marino Tuna Flakes which is also a new line up of the brand which is known for its corned tuna and Paella. In the What's New What's Next Event held in Mercato Centrale, he as well as other fitness and sports heroes celebrate wellness and sports with other sports champions who stood up above the rest in their respective fields. 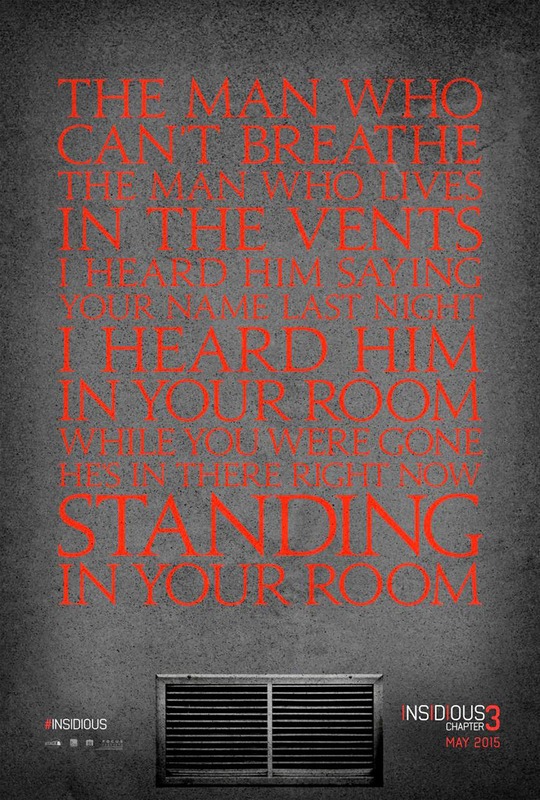 Columbia Pictures has just unveiled the teaser trailer of its upcoming supernatural thriller, "Insidious: Chapter 3,” the newest instalment in the terrifying horror series is written and directed by franchise co-creator Leigh Whannell. The trailer may be viewed here at http://youtu.be/ZUFFCV99bDs. Produced by Oren Peli (“Paranormal Activity”), James Wan (“The Conjuring”) and Whannell, “Insidious: Chapter 3” stars Dermot Mulroney, Stefanie Scott, Lin Shaye, Angus Sampson and Leigh Whannell. Opening soon across the Philippines on May 2015, “Insidious: Chapter 3” is distributed by Columbia Pictures, local office of Sony Pictures Releasing International. The World War II action drama “Fury” that recently landed number one at the North American box-office at $23.5 million debut starring Academy Award Winner Brad Pitt is now showing nationwide in the Philippines. 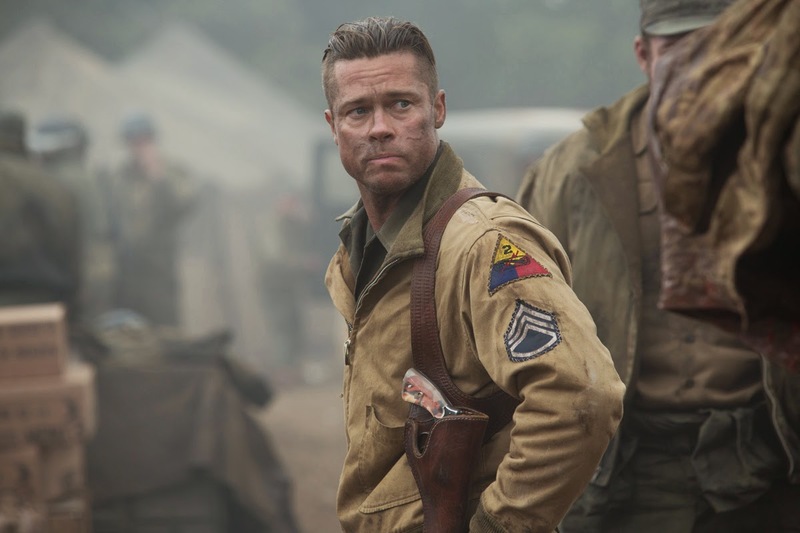 “Fury” puts together a winning cast along with Pitt, a squadron of fearless soldiers in a Sherman tank called Fury – Shia LaBeouf, Michael Pena, Jason Isaacs, Jon Bernthal and Logan Lerman. The movie brings these American soldiers to German territory during the last days and bastion of World War II. Rotten Tomatoes, worldwide online reference when it comes to movies reflects an 80% score among critics with an overall consensus that the movie is a well-acted, suitably raw depiction of the horrors of war that offers visceral battle scenes. Add bite to your Halloween with spooktacular treats! Trick or treat? With the help of Philips and seasoned foodie Nancy Reyes-Lumen, you can learn new tricks to prepare delectable treats this Halloween. 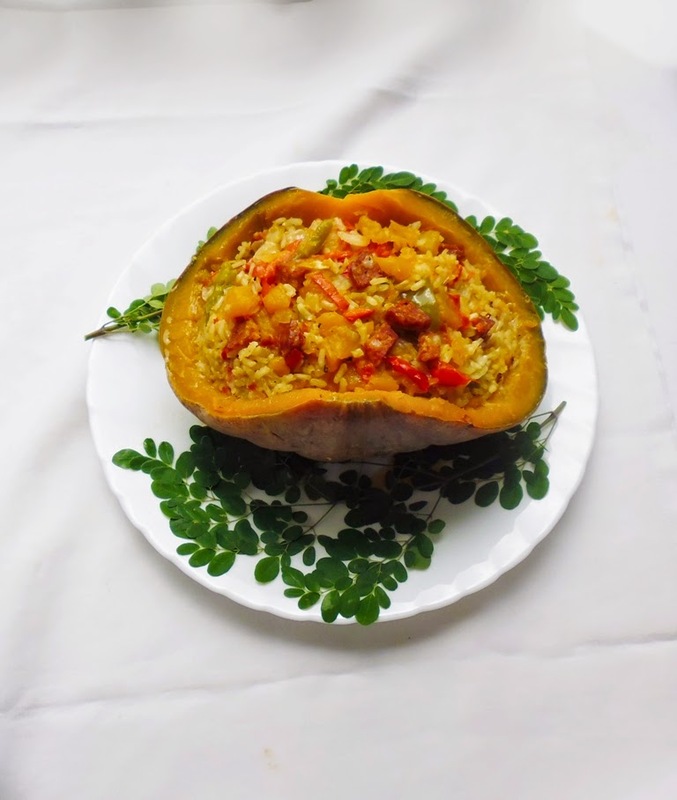 The two have prepared a list of mouth-watering recipes to make this year’s celebration more festive. 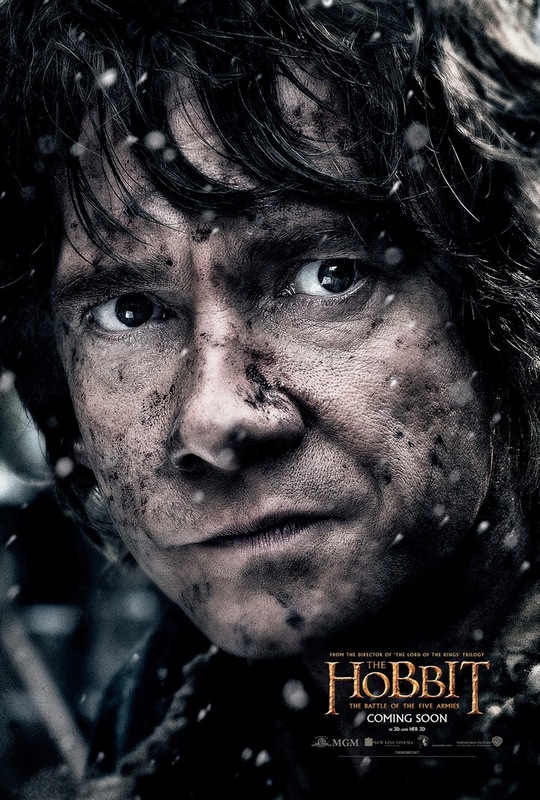 The character poster artworks for Peter Jackson's “The Hobbit: The Battle of the Five Armies,” have been unveiled online. The one-sheets individually feature in close-up shots the film's eight major characters namely Bilbo, Gandalf, Thorin, Galadriel, Legolas, Tauriel, Bard and Thandruil. Just released - Pitbull’s brand new fun song “Celebrate” that will be featured on the “Penguins of Madagascar” soundtrack. 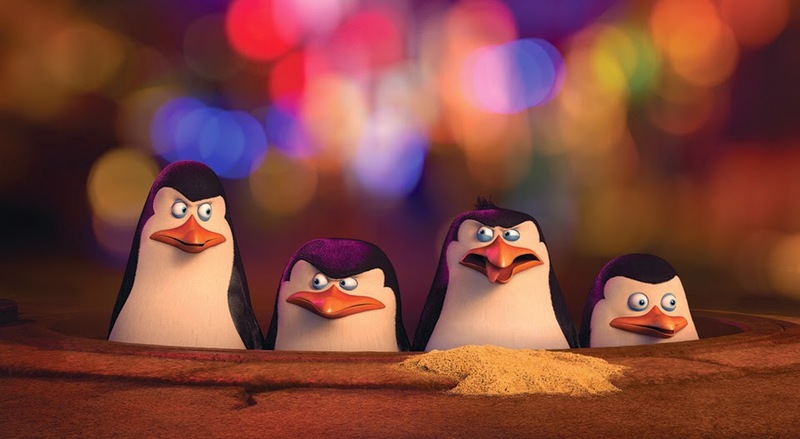 The 3D CG feature comedy follows in the tradition of the three Madagascar movies - which have earned close to two billion dollars since their debut in 2005 - and tracks the origins of the enormously popular Polar foursome, Skipper, Kowalski, Rico and Private. 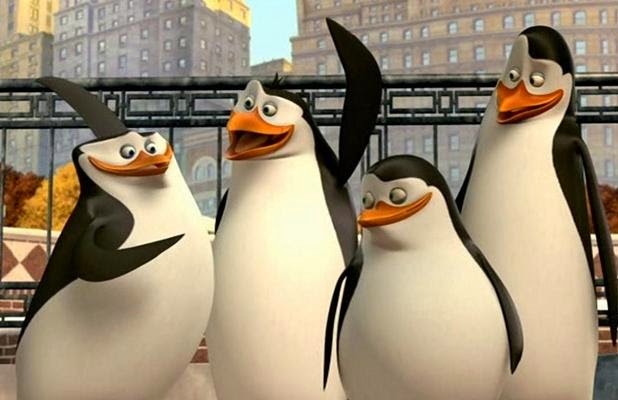 Check out the music video here where the Penguins sing and dance with Pitbull - https://www.youtube.com/watch?v=QqLs0CBNoSA&feature=youtu.be&list=UUVWA4btXTFru9qM06FceSag A DreamWorks Animation and 20th Century Fox film - “Penguins of Madagascar” (3D) opens November 26 in cinemas nationwide to be distributed by Warner Bros. (in Phils.). In the movie that will finally blow the spy quartet’s cover, the penguins will face-off with an eccentric genius and brilliant creature from their past known as Dr. Octavius Brine or Dave (voiced by John Malkovich). Step back in time...only to move fast forward and discover how they came to be the world’s fearless agents in the world of espionage. They soon join forces with an elite spy group known as the North Wind led by a panache of a wolf known as Agent Classified (voiced by Benedict Cumberbatch) to stop Dave from his evil plans. Good guys and villains huddle up for the main poster of New Line Cinema’s adult comedy “Horrible Bosses 2,” the follow-up to the 2011 hit comedy “Horrible Bosses.” The new one-sheet art features Jason Bateman, Charlie Day and Jason Sudeikis as everyone’s favorite working stiffs. Posing with them are returning castmembers Jennifer Aniston and Jamie Foxx, and new “bad guys” Chris Pine and Christoph Waltz. Fed up with answering to higher-ups, Nick (Bateman), Dale (Day) and Kurt (Sudeikis) decide to become their own bosses by launching their own business. But a slick investor soon pulls the rug out from under them. Outplayed and desperate, and with no legal recourse, the three would-be entrepreneurs hatch a misguided plan to kidnap the investor’s adult son and ransom him to regain control of their company. “Horrible Bosses 2” was directed by Sean Anders and produced by Brett Ratner, Jay Stern, Chris Bender. 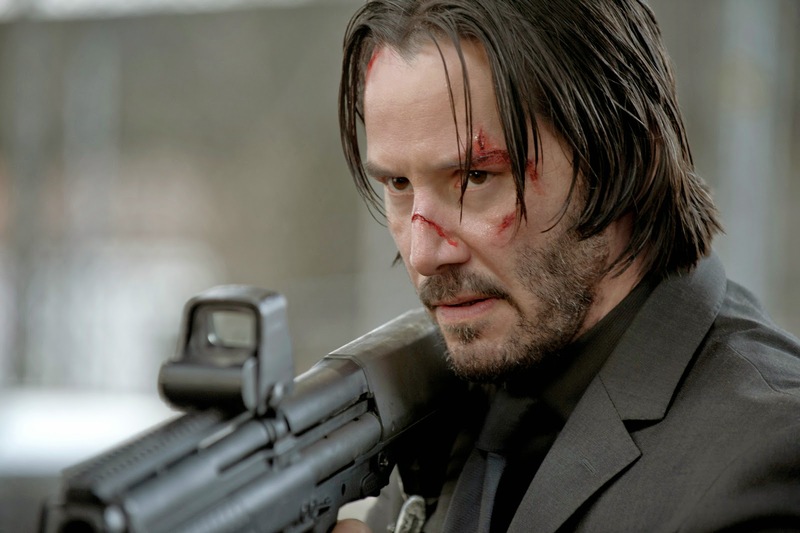 Keanu Reeves is back in full fighting form in the hugely-anticipated action thriller “John Wick” that has already reached fever-pitch high at www.rottentomatoes.com generating a 100% score in their Tomato Meter and with a 98% audience score. From acclaimed filmmaker Christopher Nolan (“The Dark Knight” films, “Inception”), “Interstellar” stars Oscar winner Matthew McConaughey, Oscar winner Anne Hathaway, Oscar nominee Jessica Chastain, Bill Irwin, Oscar winner Ellen Burstyn and Oscar winner Michael Caine. The main cast also includes Wes Bentley, Casey Affleck, David Gyasi, Mackenzie Foy and Topher Grace. Directed by Christopher Nolan, the film is written by Jonathan Nolan and Christopher Nolan. For generations, families everywhere have fallen in love with the musical score to “Annie,” and such iconic songs as “Tomorrow,” “It’s the Hard-Knock Life,” and “Maybe,” have provided the soundtrack to countless childhood memories. Now, as a new vision for the classic show is set to hit Philippine theaters in January 2015 in Columbia Pictures’ Annie, Roc Nation Records/Overbrook Entertainment/Madison Gate Records/RCA Records announce the “Annie: Original Motion Picture Soundtrack” will be released on November 17th, 2014. The soundtrack features newly recorded versions of the film’s signature songs plus new tunes performed by Sia, Jamie Foxx, Quvenzhané Wallis, Cameron Diaz, and more. The first single from the soundtrack is the 2014 film version of “You’re Never Fully Dressed Without A Smile,” performed and co-written by Sia and produced by Greg Kurstin, who also serves as Executive Music Producer on the film. The single is currently available at all digital music providers. “1st Ko si 3rd” made its debut in this year’s Cinemalaya X’s and has generated most of the “feels” amongst all the entries in the New Breed category. Before heading to compete at the prestigious Hawaii International Film Festival (HIFF), “1st Ko si 3rd” is going to be shown in (Phils.) theaters nationwide exclusively at Ayala Malls Cinemas starting November 12. 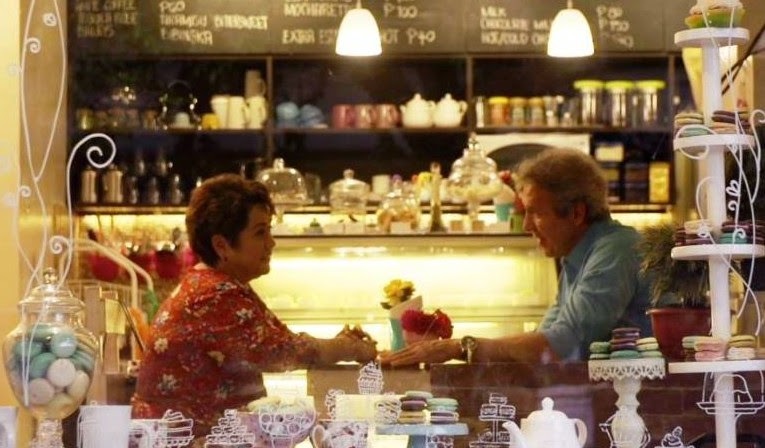 “1st Ko si 3rd” is about Corazon (played by Nova Villa), a recently retired government employee who's been married to Alejandro (Dante Rivero) for the past four decades. But their monotonous marriage is about to change when Corazon and Third (Freddie Webb), her first love, crosses path once again after their abrupt separation in the past. Initially avoiding the opportunities to meet up with Third, Corazon finally finds herself rekindling old feelings and living each moment with the first love of her life. 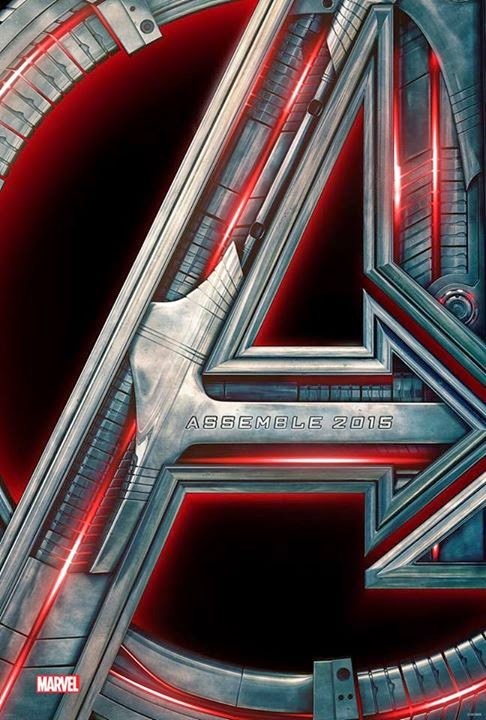 The first trailer for Marvel's "Avengers: Age of Ultron" has landed and we've got your first official look right here at http://youtu.be/fMXUALG5AbE. True Believers! Feast your eyes on the chaos and make sure to check out the film in Philippine theaters in April 2015. It's up to Iron Man (Robert Downey, Jr.), Captain America (Chris Evans), Thor (Chris Hemsworth), and the rest of Earth's Mightiest Heroes to save the planet from Ultron (James Spader), and you can check out the trailer to see the gang back in action, along with a few new faces and the official teaser poster just below. In the film, big brother Tadashi redirects Hiro’s brilliance, inspiring him to put his brain to the test in a quest to gain admission to the San Fransokyo Institute of Technology. Its less than 70 days before Christmas and we can now worry of the gift ideas we can give to our loved ones and avoid the great holiday cramming of long lines, crowded streets, and stressful packaging. As early as today, we can now plan our gifts for the season with early gift ideas via a showcase. 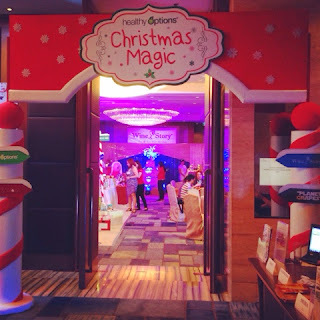 Healthy Options, the Philippines’ all-natural products store chain, with Bow and Wow, Wine Story, and Planet Grapes, present the Christmas Gift Show. The exclusive preview of premium holiday gifts that happened 10am to 8pm last October 15, 2014, EDSA Shangri-La Hotel, Mandaluyong City and on October 20, Monday at the Isabela Ballroom of Makati Shangri-La Hotel in Makati City showcases attractive and practical presents to get and give this holiday season. REEL DEAL: Keanu Reeves' Double As Neo In "Matrix" Is Now The Actor's Director in "JOHN WICK"
BURBANK, CA – October 19, 2014 – New Line Cinema’s “Annabelle” has surpassed the $150 million mark at the worldwide box office, earning more than $166.1 million to date and counting. The announcement was made today by Dan Fellman, President, Domestic Distribution, Warner Bros. Pictures and Veronika Kwan Vandenberg, President, International Distribution, Warner Bros. Pictures. 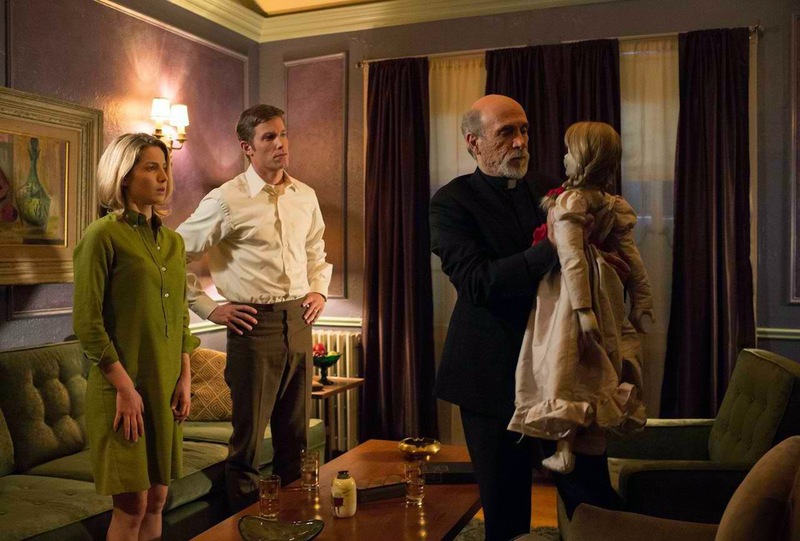 (In the Philippines, “Annabelle” also continued to make a killing at the box-office, grossing P139.54-million nationwide, as of Oct. 19, 2014. That further tightened its grip to the national record of all-time highest-grossing foreign horror film). Lee Min Ho fans rejoice as Lee Min Ho charm will captivate you with the launch of the Lee Min Ho Festival in ABS CBNmobile as an exclusive event in iWanTV. Subcribers to the mobile app with their ABSCBNmobile account can access the 6 episodes of the Historical Fantasy Drama FAITH. 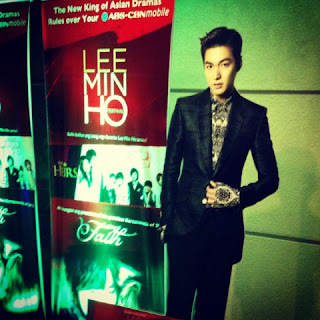 And this got fans excited especially for those die-hard fanatics who followed Lee Min Ho early like his series like Boys Over Flowers, and City Hunter. This new mobile series is exclusively shown only on ABS-CBNmobile beginning October 20. “Faith” is the story of Choi Young, a royal bodyguard of a king in the past, and Yoo Eun-soo, a female doctor in modern times. When the queen was seriously injured, Choi Young was sent by the king to go through the magical portal to get “heaven’s doctor,” which happens to be a doctor from the future named Eun-soo. Next month, Christian will launch his newest album “Soundtrack,” which contains memorable themes from the most romantic films of all time. He will be joined by some of the hottest female recording artists in the album. The core cast in Universal Pictures and Legendary Pictures' horror thriller “As Above/So Below” consists of six characters who become trapped by their most intimate fears inside the Catacombs, an astonishing 220 feet belowground in Paris. Leading the young cast is Welsh actress Perdita Weeks, best known for the acclaimed TV series “The Tudors” starring opposite Jonathan Rhys Meyers and Henry Cavill. For director John Erick Dowdle, it was important to find just the right actors to create the story they were looking to tell...and getting the performers to trust them with an unorthodox process. 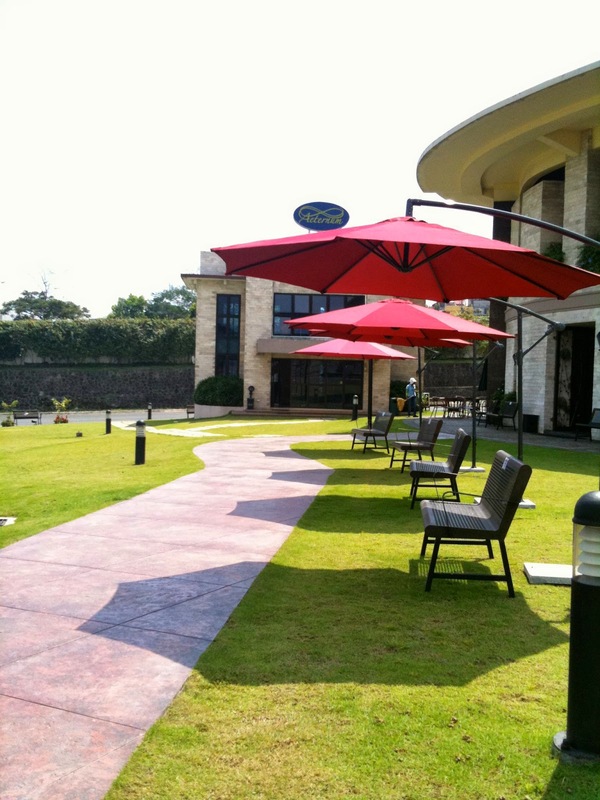 Jan Vincent Mercado, President of The Fort Park Estate Inc. who introduced the country's first True Garden Columbary, "Aeternum": The Park Estate Columbary discussed how they stumble upon the idea of putting up Aeternum Garden. He and his family received an offer before from the local city government to buy the property which then was just a piece of land. It was bought, developed and now became the country's first true garden columbary. "Living the life you want is very important but you need to live it well without harming other people." This is one of the inspiring lines from Vincent Mercado which people need to live by. GMA First Bayani Serye ILUSTRADO Airs Tonight! It is not Independence Day, nor it is Rizal Day but GMA Network paved way for a whole new series that is different from their drama line up this year. 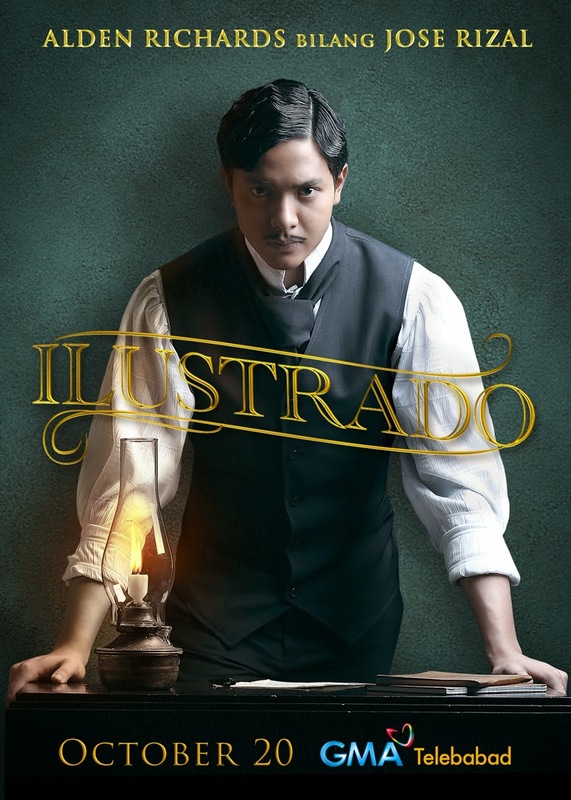 As My Destiny of Tom Rodriguez and Carla Abeliana came to a close last week, the new Bayani Serye will now take over the time slot starring Alden Richards as the most notable hero of the Philippine Revolution duiring the Spanish regime, Dr. Jose Rizal in ILUSTRADO. Some people only know the stories of others tell them, but for the first time in Philippine television history, GMA News and Public Affairs brings one of the nation's heroes to a new light - one that portrays him as human, someone people could understand, and most of all, love once again. Suspense and adventure-filled movies at SM Cinemas this October! SM Cinema through its CinExclusive program continues to bring movie-lovers an exciting line-up of action-filled stories this October. This month’s suspense and adventure-filled movie list includes Little Azkals: Pursuit of the World Cup Dream, Detective Conan: Dimensional Sniper, Tumbang Preso (In the Can), and The Pirates. 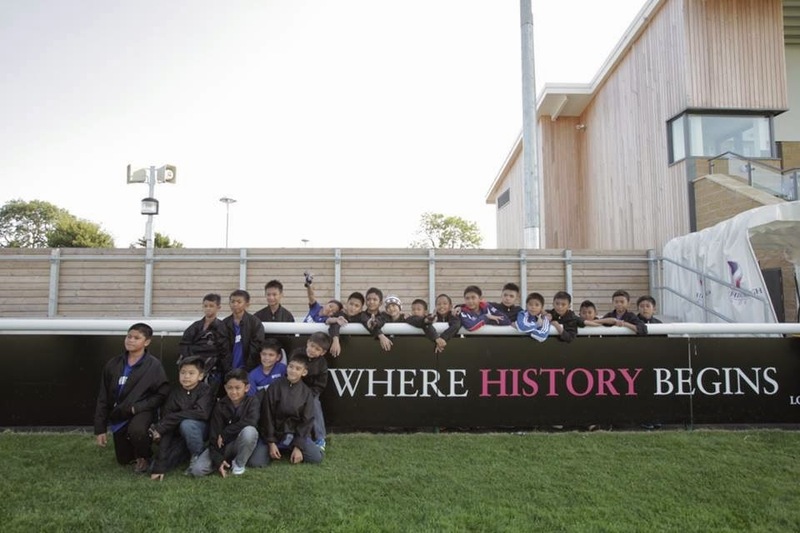 A story of dreams against the odds, “Little Azkals : Pursuit of the World Cup Dream,” is a documentary film which showcases the stories of 22 young boys from all over the Philippines and their once in a lifetime opportunity to be trained in a football camp in England for the sole purpose of qualifying for the 2019 World Cup. Little Azkals will have its regular cinema premiere from October 25-26 at selected SM Cinemas (MOA, SM Megamall, SM South Mail, SM Sta Mesa, SM Fairview, SM Manila, SM Marikina, SM Bacoor, SM Iloilo, SM Cebu, SM North Edsa).